Bob Haddrell writes with top Nashville artists, has recorded in the States with Billy Swan, and has toured and recorded with Chicago Jimmy Dawkins. Truly "in the groove", Bob has created the unique sound of ‘The Barcodes’. Alan Glen is acknowledged as one of the UK’s finest harmonica players. He is also a fine guitar player as you can hear on this album. He has toured the world as a member of ‘The Yardbirds’, and he has also recorded with ‘Nine Below Zero’, ‘Little Axe’, ‘Dr Feelgood’ & Junior Delgado. Dino Coccia has played and recorded worldwide. His credits include jingles, work with pop, Blues and Jazz recordings. He has worked with Andy Shepard, Alan Barnes and Grace Jones. On the Blues scene he has played with James Carr, Byther Smith and Homesick James. 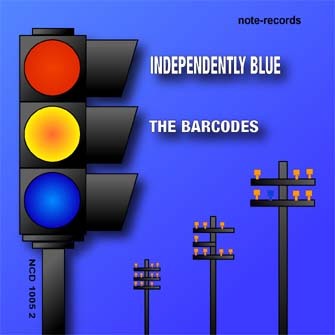 ‘Independently Blue’ is the Barcodes first CD on the Note label and it's a stonker, a marriage of the best in Blues, Soul & Jazz. 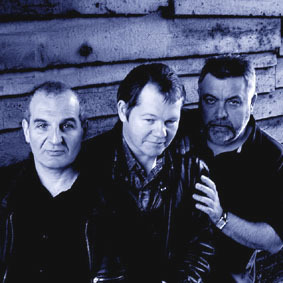 It is a landmark in British Blues, full of great tunes and sparkling arrangements. You will want this album in your collection. Recorded: Roundel Studios, Horton Kirby, Kent. To get your copy of the CD click here.